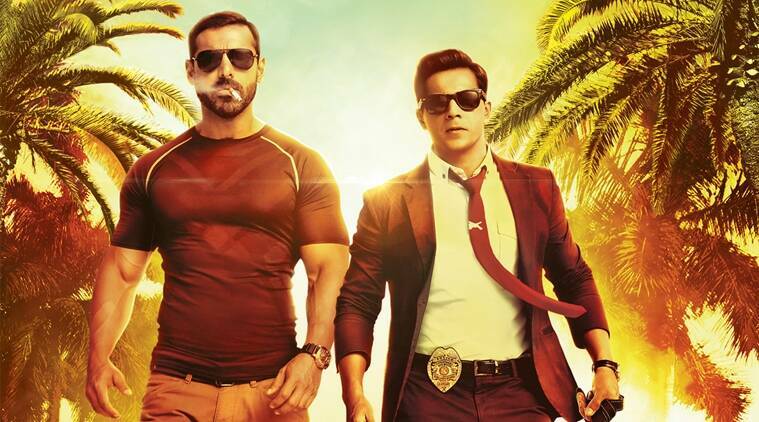 John Abraham has often shared the screen-space with other actors but it is his chemistry with Varun Dhawan in Dishoom that he speaks about specially. John Abraham has often shared the screen with other actors but his chemistry with Varun Dhawan in Dishoom that he speaks about specially. Bollywood star John Abraham has often shared the screen-space with other actors but it is his chemistry with Varun Dhawan in “Dishoom” that he speaks about specially. John will be seen teaming up with the “Dilwale” actor in the upcoming action-adventure directed by Rohit Dhawan, who previously helmed “Desi Boyz”. “I think just all of us coming together is fantastic… Rohit is like my little brother. After ‘Desi Boyz’ I am coming back with him… Varun and I, what you see on screen, our chemistry is absolutely fantastic,” John told reporters. The “Dhoom” star features in “Dishoom” along with Jacqueline Fernandez and Akshaye Khanna who makes a comeback after four years. “I’ve worked with Jacquline before and I’ve teamed up with her again, she is a sweetheart. I am a huge fan of Akshaye. The fact that he is in the film means so much to me personally. He is a fantastic actor,” John said. “Dishoom” tells the story of kidnapping of an Indian cricketer 36 hours before an India-Pakistan final match. John and Varun play two cops whose mission is to find him. The 43-year-old actor feels the film has the potential to turn into a franchise. “When I heard the script of ‘Dishoom’, the first thing I told Sajid (Nadiadwala) and Rohit was that ‘Dishoom’ will go till ‘Dishoom 8’… This is a very young action adventure franchise,” he said. “Dishoom” will release on July 29.